When one of your cases finds its way into the National Enquirer or onto the front page of the View Section of the Los Angeles Times, you generally know that one or both of two things have occurred. Either the case was unique enough to attract the attention of the press and tabloid media or, you’ve made a serious error in judgment by allowing yourself to be interviewed by them. In a case that began in the late spring of 1976, both of these reasons can be cited as true. In view of the manner in which the case was reported in both papers, I should have exercised better judgment and more caution as neither publication came close to accurately reporting what actually transpired. Strangely enough, the greater of the two evils here was not the National Enquirer, who, we were aware, grossly misrepresented their stories, especially about the paranormal. In this case the venerable Los Angeles Times did a much worse job. Contrary to what most people believe, there really is not much difference in the sensationalistic style of journalism practiced by either publication. They distort, slant, embellish, exaggerate and frequently misinform their readers about subjects they consider to be less than credible. The resulting campy, tongue-in-cheek article was not just unprofessional, it was downright rude and disrespectful. Over the last forty years, most cases have come to my attention via conventional means, e.g., word-of-mouth, occasional appearances on local TV talk shows, teaching, lecturing, or random calls coming to UCLA’s former parapsychology lab. However, this all changed in May of 1976 as a young undergraduate student came storming into the lab in shock over what had transpired at a party on the previous night. Mark was quite excited to share all of the incredible events he had witnessed just hours earlier, especially since he found the entire matter difficult, if not impossible, to believe. Once I was able to slow down his rate of speech, he attempted to coherently discuss the barrage of paranormal events during the all-too-brief party. As Mark’s story initially was nothing more than the ramblings of a very frenetic young adult, I tried to get him to start from the very beginning so I would have some perspective in the matter, rather than attempt to sort and collate a series of divergent events. When Mark understood what I needed to actually begin investigating his experience, he started describing the location of a large, three-story house on Hollymont Drive in the Hollywood Hills. While at the party, Mark and several of his friends witnessed some of the most amazing things they had ever seen. When the owner of the house, a banker named Don Jolly, first moved in, he immediately hired a houseboy to clean and do the cooking. Shortly thereafter, the houseboy began telling Jolly of strange events that really unnerved him. Objects were rapidly moved from one room to another, and enigmatic shadows and apparitions were seen out of the corner of his eye. The frequency and magnitude of these events escalated to such a degree that the houseboy seriously considered quitting rather than putting up with any more of the bizarre phenomena. According to Mark, during the party, many loose objects began flying about the house. At one point after a young woman entered the house, a large throne chair suddenly moved under its own power across the room pinning her against the wall of the living room directly in front of other guests. This was followed an instant later by a kettle flying in from the kitchen stove which quite deliberately dumped its water over the girl’s head. Later that evening, the houseboy was chased around the house by a cabbage with a huge butcher knife stuck in it. It was this particular event that finally caused the houseboy to abruptly quit his job. Needless to say, these stories were more than sufficient to arouse my interest and desire to attend yet another party to be held at the same house the next evening. I figured that the worst-case scenario would be one where I would speak to some interesting individuals who were first-hand witnesses to the previous party’s events. It also presented the opportunity to personally observe, if not record, some astounding phenomena. Never in my wildest dreams did I ever imagine that this possibly embellished story would turn into one of the most incredible cases in my files suggesting discarnate intelligence. The next evening, my colleague and I went to the house to attend the party. The area of Hollywood where the house is located was not exactly known for its beauty or safety. In fact, it was noted mostly for its high crime rate and drug trafficking. As such, I was far more concerned about the threat from burglars, muggers and flying lead than belligerent ghosts. While at the house, we did have the opportunity to observe some of the most astounding psychokinetic displays we had ever seen. On several occasions, numerous books would take off from their resting place, fly madly about the house and abruptly drop to the floor. A telephone left its secure position on a stand and then flew over Don Jolly’s shoulder in my direction, as did a large glass jar. The most humorous event occurred while several of us stood in the foyer directly at the entrance to the house. In the middle of us was a large wrought-iron chandelier. As we continued to speak, I commented that I was very hungry. Within seconds, a large clump of bananas came flying across our path landing at my feet. I bent down to pick them up and noticed that they were rather cold to the touch. Their exact source could not be determined even after checking out the kitchen where they supposedly originated. We eventually returned to the foyer to continue our conversation [that was about the only really vacant room in the house where a conversation could be heard given the party’s boisterous nature]. Suddenly, the front doorbell began ringing relentlessly, as if some madman outside was seeking entrance. When we examined the doorbell, we were shocked to discover that it was disconnected from the house’s power as its wires were completely frayed and rotted, incapable of carrying even the minimal household voltage or current. What then caused the doorbell to ring? Or more precisely, what allowed it to ring? After some background research, we discovered that the Hollymont house had a rather sordid background. Two murders and one suicide had occurred there over the last fifty years. These historical tidbits combined with the fact that both Robert Taylor and Barbara Stanwyck once lived there, contributed to its celebrity atmosphere. After talking at length with Don Jolly, we discovered that the apparition of a young female had repeatedly been seen by both workers in the house, as well as Jolly himself. We also learned that Jolly was a part-time minister and had a small chapel set up on the second floor. This seemed a little suspicious and made me wonder whether we might be dealing with a religious zealot. By about 11:30 P.M., the house finally settled down and we decided to leave. We were not able to return until about ten days later on May 14, 1976, at which time we were accompanied by a news crew headed by Connie Fox from local Los Angeles television station, KTTV [which coincidentally became part of the Fox Network (no relation to Connie]. On this particular visit, we experienced more sustained phenomena in a finite period of time than in any case before or since. Due to the detailed nature of the recurring phenomena, it is easier to list them in an itemized manner. • We arrived about 6:30 P.M. and at one point we all were in the dining room. Suddenly an ice tray came flying out of the kitchen and soared across the dining room into the west wall. • Shortly thereafter, a large sack of cloth napkins flew out of the kitchen (which was empty) and struck silverware in the dining room directly in front of Connie Fox. • A pewter goblet flew out of the kitchen storage area and impacted the west wall of the dining room. • A religious vestment [metal cylinder] disappeared from the upstairs chapel and appeared outside in front of the house dropping in open air. • A large world atlas suddenly appeared flying in front of the house and literally chased a screaming and terrified Connie Fox down the front Z-shaped stairway, making three distinct ninety degree turns (changes of direction) in doing so. All the while, the atlas was flapping its pages as though it was a bird in flight. • When one of my friends laughingly commented on the above event, an old shoe flew around the outside of the house and struck him on the side of the head. • While in the pantry area between the dining room and kitchen with Jolly, showers of coins, primarily pennies and dimes, fell from the ceiling, pelting us. These thousands of coins appeared to fall from the empty air. • While several members of the crew and I stood in the foyer discussing these occurrences, a large black robe apported itself onto the massive wrought iron chandelier positioned immediately above and between all of us. One instant the chandelier was empty, in the next the robe appeared out of thin air. When examined, it was discovered that the robe was intricately wrapped around the workings of the light fixture requiring several minutes with a stepladder to remove. • We learned that Jolly had invited a local Bishop over to the house to bless it. Shortly after the Bishop entered the house, his hat disappeared off the top of his head and was later found lying on an inaccessible part of the roof. • A large shower head from the main upstairs bathroom came flying down into the living room under its own power. It somehow managed to miss the more than fifteen (15) individuals present in the room at the time. • Several sharp and loud explosive sounds came from the hallway. Investigation could not determine their source. • When the Bishop attempted to bless the house using his Holy Water scepter, the top explosively blew off its base and flew around the room. • Coasters from the dining room table took off and flew into the living room. 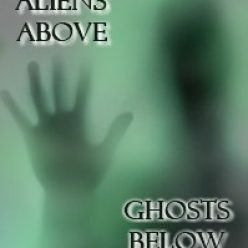 • Several keys came flying down the stairway although no one was upstairs. • Several chairs in the dining room changed locations. • A thick chain and padlock suddenly appeared around the front door and gate, essentially locking everyone in the house. • A fire broke out upstairs in one of the wastepaper baskets in the bathroom. • A telephone, several large jars, and a large book were observed to fly across various rooms. • Electrical power in the house was turned on and off repeatedly during our visit that evening. Checking out the fuse box provided no clue, as it had not been tampered with. Whatever force was accomplishing this feat could selectively negate the power along specific circuits whenever the TV news crew attempted to use the AC lines in the house. The power to those lines was cut off while other lines were left unaffected. • Even the battery-powered equipment refused to function while in the house. Also affected was the street lamp directly in front of the house that began blinking erratically. However, the rest of the block’s street lamps were not affected. So ended our first full night of investigating the house. All that remained was for us to return and continue our work on another day. Due to very fortunate circumstances, we actually were able to temporarily live in this house—-a parapsychologist’s dream. What made this case even more interesting was that both my colleague and I lived less than ten minutes away, almost in our backyard. We formally took up residence on August 2, 1976. What follows is a chronology of events that transpired over the next nine days. August 3 11:58 P.M. Stove turned itself off and pulled away from the wall. Library door unlocked itself. Master bedroom door locked and unlocked itself. After putting down a glass of iced tea on the kitchen counter, I went to the refrigerator in search of more lemon. Returning to the counter, the glass of tea was gone and was later found in the library three rooms away behind a door that I had locked the evening before. August 4 12:20 A.M. Library door unlocked itself again. August 5 10:40 P.M. Bar door on dining room side locked itself from the inside by throwing dead bolt. 11:57 P.M. Something approached the master bedroom door, grabbed and jiggled the knob, then turned it to the right. Opening door revealed nothing. Large chair was moved 5 feet and turned around while I was out of the bedroom for not more than 3 minutes. August 6 2:40 A.M. I was awakened in the downstairs bedroom by sounds of someone walking around the kitchen and lower portion of house. Investigation revealed nothing. 9:45 A.M. While sitting on couch in living room, I heard the sounds and sensation of someone walking down the stairway and up behind me accompanied by a strong, sweet perfumed smell. No one was there. 4:45 P.M. While talking on a newly installed telephone, the jack pulled itself out of the wall and threw itself over a chair, pulling the 25 foot cord along with it. August 7 2:30 P.M. While attempting to make repairs to the upstairs bathroom shower, a large tool box that I had just brought upstairs was apported from the floor next to me back downstairs kitchen drawer where it was originally located. My attention was taken off the tools box for not more than 15 seconds while removing old shower handles. Upon turning around, the toolbox was gone. The sound of someone walking around the house was heard throughout the entire day. 9:45 P.M. While talking to a friend on the kitchen telephone, I observed a dark humanoid form cross my visual path in the dining room area. No salient features or characteristics were distinguishable, nor could gender be determined. The dark form was observed through the open pantry storage area separating the dining room and kitchen. Friends sitting in the living room at the time thought they heard the sounds of someone walking in the dining room but assumed it was me. August 10 4:30 P.M. Rear French doors opened by themselves. Thinking that the case was now in a waning mode, we were really shocked when approximately two months later, the neighbor to the immediate east, Dexter Grey, who was renovating that house for his sister, made an interesting discovery associated with the Jolly home. He accidentally discovered that one of the built-in bookshelves pushed inward revealing a secret passageway leading beneath the basement of the house. Apparently, several of the homes on that particular hill were connected by a subterranean passageway dating back to the prohibition era. In all likelihood, liquor was run through it. While Grey was exploring this tunnel with his girlfriend and a neighbor, they found the remains of an old, makeshift grave with an engraved headstone that read Regina. The inscribed date of death was 1922. However, to the best of our knowledge, the Coroner’s Office was never contacted, nor were the remains, if any, exhumed. Interestingly, the Jolly house was built in 1924! Perhaps someone was using that plot of land as a cemetery plot? The last occurrence in this case was one of high strangeness indeed. Just before we abandoned the house prior to the new tenants moving in, we left a note on NPI/UCLA stationary informing the new residents that their house was haunted and if they wanted us to continue our investigation (free of charge, of course), to contact us directly by telephone. Several weeks later, I received a peculiar phone call from a young lady who lived several miles east of the Hollymont house. She asked if I was the author of a note she found stuck to the inside door of her bedroom closet at home. Somehow, the note I had left on the inside of the kitchen cupboard ended up in someone else’s closet many miles away who had absolutely no relationship to the old or new owners of the house. I’ve heard of apports, but this was ridiculous. On several occasions throughout the 1980’s I was able to re-visit the Hollymont house, once in October of 1986 for the syndicated TV show Two On the Town. At that time three gay men were sharing the house. Their experiences were consistent with those of Don Jolly, others and myself. However, there was one particular aspect regarding their encounters that was unique. Apparently, the ghost in the Hollymont house may have been homophobic. Phenomena only occurred when straight men or heterosexual couples were over, never when the three men were there which each other or their significant others. Since 1986, after one of the men died of AIDS and the others moved, there have been many different occupants residing in the Hollymont house. Various rooms are frequently rented out to different people. From time to time we have had sporadic contact with individuals living within the house and learned that phenomena still occurs. Unfortunately, the new tenants would not give us permission to continue our investigation. Until now, that is. I have had occasional contact with Dexter Grey in the last fifteen years and, if he is to be believed, his house is almost as haunted as Jolly’s, although we never experienced any phenomena there. According to Grey, he has had numerous guests over the years that were so terrified by strange sounds and apparitions that they fled in the middle of the night. However, I personally question Grey’s credibility and memory because of his apparent obsession of promoting and publicizing his haunted house is a little too important to him. He’ll apparently talk to anyone within earshot about events transpiring in his house and provides copies of “ancient” tabloid stories regarding paranormal events within his house to literal strangers walking in front of his home. Think about the fallout such random disclosure could have on your life. Would you want to tell the whole world about such occurrences in your home? In the late summer of 2008 we (Jack Rourke and this author) trekked up to Hollymont to show the location to a producer friend, Mark Downie, visiting from New York. While we were all speaking in front of the property, Jack (a gifted Los Angeles psychic who had been working with us for several years) turned to this author and asked if there was a river running under the property. My reply was that I knew nothing of the subterranean features of this area. Shortly thereafter, we were fortunate to meet one of the 6221 house’s new tenants, who invited us in. While walking up the steeply inclined stairway, Jack started feeling dizzy and nauseous, unaware that this author was having the exact same reaction at precisely the same moment, walking just several steps ahead of him. The house looked pretty much the same as it did in 1976, although now badly in need of restoration. There had been substantial remodeling of the kitchen though, which now extends into the area that was once the pantry, where pennies once fell from nothingness decades earlier. In October of 2008, we (Barry Conrad, Paul Clemens, Todd and Annie Fariss, Laurie Jacobson, Alex Mistretta, Jack Rourke and this author) returned to 6221 Hollymont on an investigation for the first time in more than twenty-five years. A local businessman by the name of Abdi Manavi, now owns this fascinating house and was very gracious in allowing us access to his residence given that he didn’t know any of us. Mr. Manavi is what I call true gentleman. Abdi (knowing a great deal of what transpired on his property three decades earlier) casually spoke of recent paranormal events such as books flying off shelves, disembodied voices, chandeliers swinging from no apparent cause, items disappearing and reappearing [apports], numerous light bulbs being removed from their sockets and left in a neatly formed triangular pile on the ground floor, and the very rare apparition of a young woman, whom Abdi believes to be Regina, whose body, allegedly, still remains buried beneath the house. Perhaps the most intriguing information Abdi spoke of was his belief that the ghost or presence, seemed to be very reactive to skeptics, in that the more skeptical guests were regarding such phenomena, the more responsive the phenomenon was. Abdi’s belief is very interesting, in that it might help explain why this particular house was so very volatile during this author’s initial investigation during the mid-seventies, as the Los Angeles Times’ reporter and the KTTV news camera crew with their reporter, (Connie Fox) were extremely skeptical, as was their nature. The underground tunnel, within which Regina’s remains allegedly still resides, has long since collapsed due to the frequent earthquake activity in Southern California area since 1976. The tunnel would have to be excavated and shored up before anyone could safely enter it again. One major difference in this current investigational visit was that we brought our suite of instruments to measure the environment. Back in 1976, portable, handheld instrumentation to measure the Earth’s geomagnetic field, electromagnetic (EM) fields, ion concentration and density, ULF/ELF EM spectrum analyzer, temperature and humidity, were only science-fiction pipe dreams in the minds of parapsychologists. In spite of our strong expectations given the 1976 investigation, we were not prepared for what we were about to learn. By checking on the US Geological Survey (USGS) website, we discovered that several earthquake faults intersect almost directly under Abdi’s home. Adding even more fuel to our anticipation was additional USGS data indicating that a shallow river runs beneath the homes on this side of this particular hill, precisely as Jack Rourke had sensed. What a coincidence! I knew there was a reason I wanted to work with Jack, and I guess I was right. Jack Rourke is the only psychic I’ve ever worked with due to his emotional grounding, intellect, healthy ego and comprehensive knowledge of clinical psychology, and the paranormal, coupled with an intense desire to learn. This man knows more about clinical psychology than this author forgot over the decades. This psychically gifted young man is a steadfast seeker of truth and knowledge in his insatiable quest to understand and improve the quality of life. Most, if not all, of the psychics I’ve met prior to Jack, and there has been thousands, had one disturbing trait in common (besides emotionally unstable with borderline personalities and frequently dissociative) which was very unnerving and a little frightening to this author. That most disturbing characteristic was that everything they did (psychically, that is) was about them. Their continual reference to “I” was indicative of pretentious egomania, almost never about improving the human condition through acquired knowledge. About the only improving these “gifted” individuals were after, was that of their wallet or purse size as it swelled with cash as obtained from ignorant, gullible and naïve individuals. What made and makes such a person intolerable to this author is their overt sense self-righteousness combined with incredible ignorance and arrogance. A dysfunctional combination of qualities, to be sure. Jack Rourke possesses not even a trace of these less than desirable behavioral qualities. In true science, there is no such thing as “I”, as it is not about the people; it is about the advancement of the human race through what we learn and how we apply it. Decades earlier, this author briefly worked with another psychic. However, there is one caveat here, she was my girlfriend at the time although truly gifted, that is, before her emotional meltdown due to an intense trauma she suffered, possibly related to our being together as a couple. You can read about her, in detail, in Chapter 10 (Abduction Central?). Back in Hollywood Hills, perhaps it was the aforementioned geophysical forces underlying the Hollymont property that made Jack and this author mildly disoriented while ascending the stairway on our prior visit? Well, at least we now know where the energy comes that possibly feeds and sustains the paranormal activity in Abdi’s house over the years, don’t we? But why did we not again feel ill during this most recent visit? Probably because these geophysical forces are in a constant state of flux and therefore will not always exert the same physical effects every time one is present. Given this, it was certainly unfortunate, that even in the face of such extraordinary accumulated evidence as cited above, every one of our instruments read the environment as “normal”, as there did not appear to be anything unusual or anomalous about this location at that particular moment in time. However, we do know that such geophysical forces wax and wane over time due to numerous factors, none of which are predictable or controllable. Laurie Jacobson, author of Hollywood Haunted, showed up about two hours after the rest of us. Only then, did anything seemingly paranormal begin to occur. Maybe it was the sheer presence of a particularly unique lady? Or, maybe it was the fact of Laurie’s being a well-respected Hollywood historian who’s been very interested in this particular case for decades. In point of fact, Laurie dedicated an entire chapter of her aforementioned book to this specific house and case. In the end, who knows? When we ventured upstairs with Laurie, it felt as if we were in a hyperbaric oxygen chamber, where the atmospheric pressure would well above normal, that of 14.7 pounds per-square-inch. It was actually quite painful to this author as well as to several others. This sense of overpressure is commonly associated with certain “haunted” environments and is frequently felt as pressure around the head, ears, mastoid region and neck. It felt like being at the bottom of a very deep swimming pool or scuba diving a little too deep for comfort. Suddenly, the chandelier in the small, front, southern bedroom began to swing on its own. While Paul Clemens was videotaping that action he captured a large luminous anomaly that was not visible to the naked eye. There was no wind, and the anomaly looked very different from what people some commonly refer to as “orbs”, which for the most part as explainable as tiny particulates or what’s more commonly referred to as dust (which is everywhere) being illuminated by bright light sources at specific angles. This anomaly was definitely not dust. While Barry Conrad was shooting with one of his cameras into Abdi’s bedroom, a large, bright, red luminous anomaly was recorded that, once again was not visible to any of us. And still, the sense of overpressure lingered. Then, as suddenly as it began, the events ceased. Once again, things unfortunately returned to normal. The hour was late and we decided to call it an evening, but not before thanking Abdi for his hospitality and asking him to keep a journal or log of events as best he could in the hope of discerning a pattern to the phenomena transpiring in his home. As I was packing up our Pelican instrument case, I noticed what appeared to be an unusual marking on the bottom of it. Upon examination, it looked as if someone, or some thing, had carved a bizarre shape into the case. Closer scrutiny of the carving depicted a large, backwards “R” (a lazy “R”? ), as in Regina! What? There definitely was not any such physical damage of the case when we arrived at Abdi’s, but there was when we were about to depart. Hmm. If the carving didn’t appear as a backwards “R”, that in itself would still be very interesting, especially as these Pelican cases are very strong and durable, not prone to being easily damaged. The only other time this case was damaged was in 2005 when something very sharp tore into the middle and backward underside of the case while on another investigation. Those marks were very distinctive and looked as if a wild animal had torn into the case’s belly, which was all the while resting upon a soft sofa top where that type of damage could not have occurred. Maybe what the Hollymont location requires to bring it back up to the frequency and magnitude of phenomena it displayed in 1976, is a collection of much younger people (with their concomitant high-energy nervous systems, glandular systems and emotions) attending such an investigation. When the 6221 Hollymont house was under investigation in 1976, other than Don Jolly, the property’s owner, who was thirty-three (33) at the time, I was perhaps the oldest person present, all of twenty-seven. This time around, this author was only …well let’s just say a lot older. You do the math this time, for when I think about the passage of years, it’s somewhat depressing. I guess time really does fly when having fun? The real question now is, did Regina’s spirit cause the damage to our instrument which just happens to be in the shape of a backwards “R”? Many questions, but as yet, no real answers. Hopefully, we will return again to this fascinating Hollymont home when feasible. The sad news is that this house is once again up for sale as it’s condition has so deteriorated so severely over the decades from water damage, earthquakes, a sinking foundation, mysterious fires, etc., that it might not be worth restoring at any price. This brings up the thought that if said property is demolished, will the vacant lot or any new house experience the same types of paranormal events as the current one? The following is a letter emailed to me as I was actually writing this article (but before publishing it) by Kenneth D. Fulwiler concerning this most incredible house. Talk about synchronicities? A couple of weeks ago I decided to do a web search for the Hollymont House where I had spent a couple of evenings in the summer after I graduated from High School. My search revealed that the house was up for sale and I happened to notice your comments regarding the house. An involvement with the Hollymont House caused me to attend some of the evening UCLA’s Parapsychology Extension classes in Moore Hall (circa. 1974-1977), which I see you were involved with as well. My involvement with the Hollymont House started by way of the drummer in our garage band from High School. He had a brother that worked for Don Jolly at the Home Savings in North Hollywood. One day back in the summer of 1974, our drummer mentioned to us that his brother worked for a guy who owned a ‘real’ haunted house in Hollywood. My ears immediately perked up, as I had always been interested in Parapsychology ever since I was very young. A couple of days later, my friend said we were invited to go out to the house at 6221 Hollymont Drive. I recall it being a Thursday night that my friend, his brother and I were invited to the Hollymont Drive house. Don Jolly greeted us in the foyer just as the hanging lamp began to swing back and forth. Don said: ‘Oh, that’s the ghost welcoming new-comers’. He told us about the evening he was having a party in which the refrigerator door flew open, a head of cabbage flew out as a chef’s knife came off the wall and came together in front of his house-boy in the kitchen. Needless to say, he said, the houseboy quit on the spot. Don showed us the stairway down to the basement and said that all the problems seemed to emanate from ‘down there’. None of us were willing to go down there. Don Jolly was a very gracious host and invited us to dinner at the Japanese restaurant Yamashiro in the Hollywood hills. After the wonderful dinner we sat together in the living room and Don told stories of his experiences living in the house. My friend’s brother recalled that one night he had stayed over in the bedroom upstairs in the west end of the house and as he looked up into the enjoining bathroom and saw a disembodied face staring at him horizontally from around the corner in the bathroom. I recall while we were sitting around talking we could hear noises of someone moving around elsewhere in the house. Lights would turn on and off on their own. The doorbell would ring with no one there. Telephone would ring with no one was on the line. At one point we heard noises at the front door, at which time Don opened the front door to find that all the outdoor furniture from the back patio had been piled up at the front door, the wrought-iron gate had been closed and tied shut with a length of rope. Sometime during that Thursday evening, I believe I stated that my then girl friend would have been interested in what was going on. Don Jolly then invited us, including my girl friend, back again on that Saturday night. Upon our arrival that Saturday night, the hanging lamp in the entry again began to move back and forth across the foyer, this time moving back and forth with such force as to almost touch the walls on either side of the foyer. Saturday evening progressed much as it did on that Thursday night. I believe we went to Yamashiro again for dinner. When we returned from dinner, we could tell that atmosphere in the house was in a highly agitated state. There was much more activity in the second night than in the first. At one point Don became so concerned with the activity that he went down to his study and called his Bishop for advice, who even come out and blessed the house with Holy Water. When he was on the phone in his office with the Bishop, I was standing at the end of the hall close to the dining room looking down the hallway that separated the kitchen from the foyer looking down to the opposite end where Don’s study was. Don was sitting at his desk just to the right of the doorway in his study, talking to the Bishop, when the built-in bookshelf to the left of the doorway launched all its contents of books across the doorway at Don. A few minutes later after we recovered from that episode, I was following my girlfriend from the dining room, through the pantry toward the kitchen when suddenly it sounded and felt like all hell broke loose in the house. There was no one upstairs but the stereo at the top of stairs came on full blast and a box of poker chips was thrown from a cupboard upstairs on to the tile floor of the foyer with a horrendous crash. It sounded and felt like the house was coming down around us. I bent over my girl friend in the pantry to try and protect her from whatever was happening as I could feel this pressure coming down on top of us. It must have lasted for ten seconds or so. Don was getting so nervous at that point that he suggested we all leave the house and let it settle down. I did not disagree with that thought, as I was happy to leave the Hollymont house at that moment. My girlfriend has stated that she felt her presence was the cause of the agitation that night, because she was a Catholic that had studied witchcraft at one time. I never felt like I was a target or had anything directed toward me. I cannot say I really felt frightened at any point, but I do remember the uneasy feeling of not knowing which way to look; that feeling of not knowing what was going on behind you, even though you know no one is there. I respect you for your bravery in the amount of time you have spent in the Holly Mont House. I was contacted and interviewed in the late 70’s by National Enquirer, but they did not use any of my commentary in their resulting article. Around that time period I heard that Don Jolly was selling the house, a female real estate agent who was down in the basement was leaning against a wall, which caved in to reveal a tunnel leading to the opposing house to the east. In the tunnel I heard that they found a tombstone. Do you know anything about that? Also, is Don Jolly still around? I remember him as being a very nice, generous, humorous and gregarious man.